Books on eschatology often focus solely on topics such as the Second Coming of Christ and the millennium. However, because the first advent of Christ inaugurated the last days, a complete study of biblical eschatology must include a study of Christ’s first advent as well as his second. It must also include a study of God’s preparations in redemptive history for the eschatological first advent of Christ. 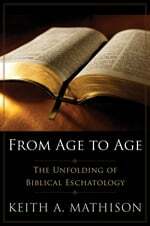 Unlike many previous studies of eschatology, From Age to Age looks not only at the consummation of God’s redemptive-historical purposes at the end of history, but also at the stages in the unfolding of those purposes. 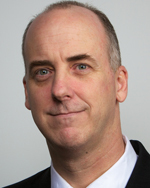 Using the narrative method of biblical theology, Dr. Keith A. Mathison traces the eschatological themes of Scripture from Genesis to Revelation, emphasizing how each book of the Bible develops these themes that culminate in the coming of Christ and showing how individual texts within those books fit into the overarching picture. Meticulously comprehensive, a veritable compendium of biblical theology from Genesis to Revelation examining every possible nuance of eschatological insight, breathtaking in its scope, Mathison has provided us with an invaluable reference tool. A tour de force unlike any other on this hugely significant topic. — Derek W. H. Thomas, John E. Richards Professor of Systematic and Practical Theology, Reformed Theological Seminary, Jackson, Miss. For those schooled in the likes of Vos, Ridderbos and Kline, the apprehension of eschatology broadly conceived is like Dorothy’s move from black-and-white Kansas to Technicolor Oz. But for too long this gift has been the buried talent of its modest circle of possessors. Keith Mathison goes a long way in unearthing this gift in From Age to Age. He ambitiously surveys the whole Bible book-by-book, yet with substantial detail at some of the most critical points and does so with scholarly care, exegetical soundness and philosophical breadth. Where one might vary from individual conclusions here and there, his survey of options is representative and his analysis well-argued. Scholars, pastors, students and learned lay people need this kind of analysis which relates a unified, coherent — albeit variegated — history of redemption. From Age to Age has the potential to introduce a redemptive-historical biblical theology to the broader church whose struggle to comprehend its own place in the flow of human history desperately needs a reminder that God is the Lord of time. — Michael J. Glodo, Associate Professor of Biblical Studies, Reformed Theological Seminary, Orlando, Fla. This book is evidence that the ‘Reformation movement’ that is afoot in our day is maturing beyond critique to construction. Filling a crucial gap, From Age to Age is simultaneously sweeping in its scope, deeply-informed on the specifics, and so readable that I’ll be recommending this as the book to give to any Christian who asks me for an overview of the Bible. If you read, meditate on, and inwardly digest the content of From Age to Age, you will have a deeper, richer, and fresher appreciation for the greatest story ever told. A survey of the Bible that does not lose the forest for the trees. On the one hand, Mathison analyzes each book with careful attention to exegetical and critical issues. On the other hand, he identifies the entire canon’s contribution to the grand biblical theme of promise and fulfillment. I do not know of a more accessible and up-to-date introduction to the Bible from a Reformed perspective. — John Muether, Librarian and Associate Professor of Church History, Reformed Theological Seminary, Orlando, Fla.
Keith A. Mathison (M.A., Reformed Theological Seminary; Ph.D., Whitefield Theological Seminary) is dean of Ligonier Academy of Biblical and Theological Studies and an associate editor of Tabletalk magazine at Ligonier Ministries. He is the author of Dispensationalism: Rightly Dividing the People of God?, Postmillennialism: An Eschatology of Hope; The Shape of Sola Scriptura; and Given for You: Reclaiming the Doctrine of the Lord’s Supper. He is the editor of When Shall These Things Be: A Reformed Response to Hyper-Preterism and associate editor of The Reformation Study Bible. He lives in Lake Mary, Florida, with his wife and children.